← From the Archives & Special Collections: Spring 2016! 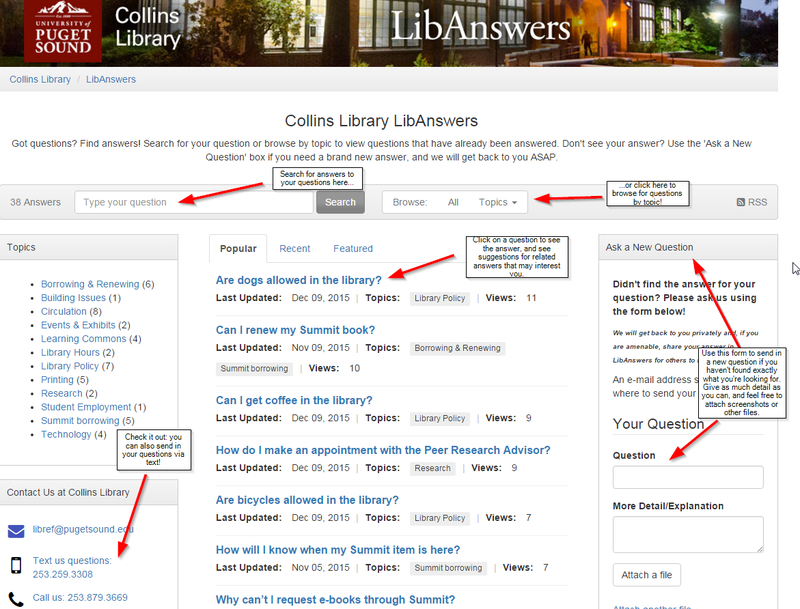 Introducing a new platform to get the answer to your library and research questions: Collins Library LibAnswers! More than just an FAQ, LibAnswers is a searchable knowledge base that allows you to quickly find answers to your questions, either through keyword searching (“dogs okay library”) or by browsing the list of topics (Library Policy, Borrowing & Renewing, Technology, etc) to see what questions have already been asked and answered. Not finding what you need? Ask away! 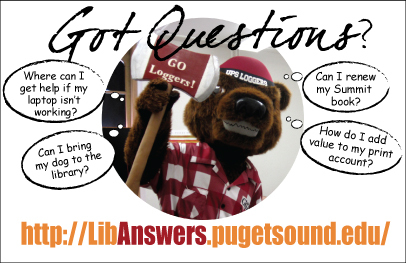 LibAnswers encourages you to ask your new or unanswered questions so that the library staff can respond to you directly as soon as possible, as well as add the answer to the LibAnswers knowledge base for the next person who needs to know. We won’t share your name or contact information, and you can let us know if you would prefer that the answer to the question stay private.